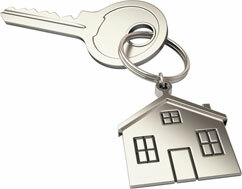 At Blaze Conveyancing we believe that buying or selling a property should not be a stressful situation. Being a small and flexible business, we are able to offer you a personal service, that fits in with your life and provides you with total peace of mind. We strive to meet and exceed your expectations and we are proud of our level of repeat business. Our clients regularly recommend us to their friends, family and colleagues. We are an independent settlement agent which means that we have no financial relationships with any real estate agent, finance brokers or banks. We also believe in only acting for one party in a transaction, this allows us to be impartial and concentrate on YOUR needs and YOUR settlement requirements. We are also a member of the Australian Institute of Conveyancers, which means that we are fully up to date with all the changes that regularly happen within the industry.